This album takes the beautiful harmonies of Haven and adds intricate instrumentation including piano, trumpet fanfares and acoustic guitars. 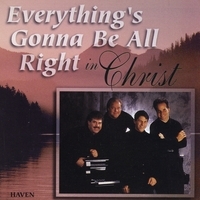 The lyrics of this album will encourage you in whatever situation the Lord has you. It will bring you to worship as you contemplate how much God comforts and protects His people. The beauty of the song “The Love of God” sums up the whole album. Review: Life is full of peaks and valleys. As we wander through life sometimes we just need the reassurance that "Everything's Gonna Be Alright". Review: Dude, you totally have to buy this album! It really encouraged me when I was feeling like nothing was gonna be alright!